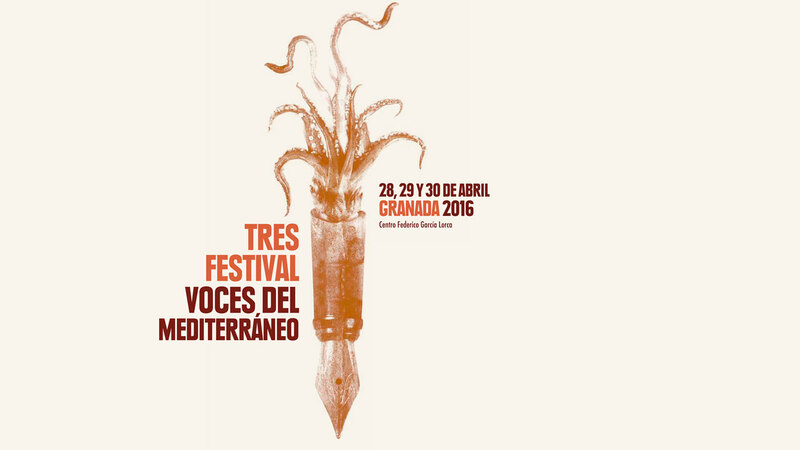 The Tres Culturas del Mediterráneo Foundation and the Moroccan Ministry for Foreign- Resident Moroccan Nationals and Migration organised on 28–30 in Granada a new international literature festival, 3 Festival: Voices of the Mediterranean, bringing together front-rank writers from the north and south banks of the Mediterranean. These conversations, discussions and cultural, musical and intellectual events of the highest level and international relevance covered all the topics that are factors in effective co-existence between different Mediterranean cultures. 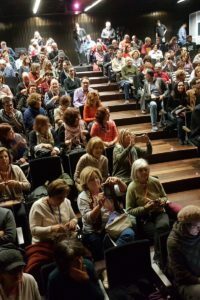 The encounters, conversations and round tables were held at the Centro Federico García Lorca. 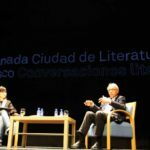 The festival was partnered with the Granada UNESCO City of Literature programme. The participating writers and intellectuals came from countries including Syria, Turkey, Lebanon, Romania, Italy, France, Spain, Morocco, Algeria, Tunisia, Israel and Egypt. 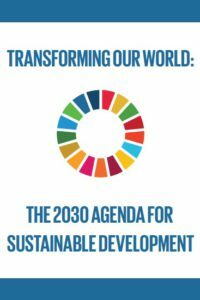 They were: Maram al-Masri, Mar Gabarre, Buket Uzuner, Najat el-Hachmi, Javier Valenzuela, Mahi Binebine, Hubert Haddad, Ilya U. Topper, Abraham B. Yehoshua, Abdellatif Laâbi, Ismael Diadié, Rachid Boudjedra, Nativel Preciado, Alejandro Víctor García, Almudena Grandes, Nir Baram, Inés Gallastegui, Fatos Kongoli, Lorenzo Silva, Jesús Lens, Mircea Cărtărescu, Dubravka Ugrešić, Alejandro Luque, Nawal al-Saadawi, Wassyla Tamzali, Zoubida Maalem, Basem Nabres, Aurora Luque and Erika Martínez. 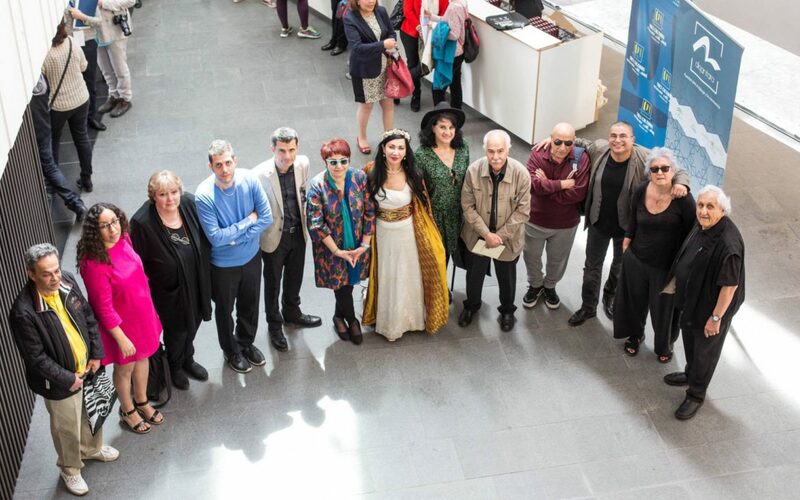 Pictured in the foyer of the Centro Federico García Lorca: Basem Nabrees, Najat El Hachmi, Dubravka Ugresic, Nir Baram, Pedro Olalla, Buket Uzuner, Maram al-Masri, Aurora Luque, Abdellatif Laabi, Rachid Boudjedra, Mahi Binebine, Wassyla Tamsali and Abraham B. Yehoshua.